The Head Office will be closed from Friday 19th April 2019 and will re-open 8am on Tuesday 23rd April 2019. 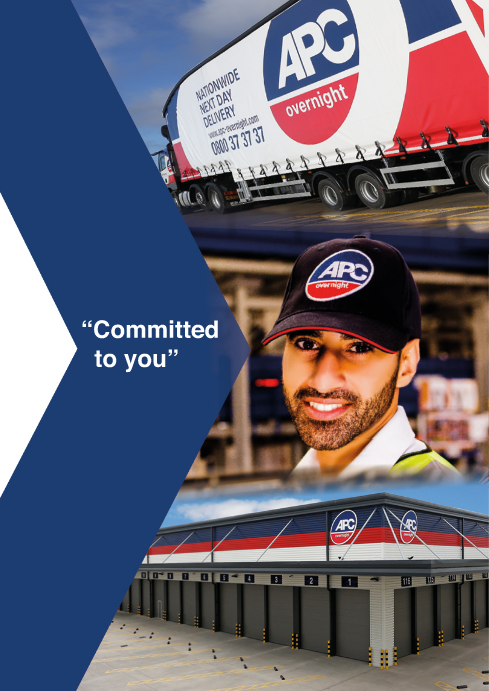 APC Overnight is the UK's largest delivery network, with more than 105 locations nationwide. We collect, route and deliver millions of parcels every month. We offer timed and trackable next day delivery and specialise in fragile, security and liquid services as well as Irish, European and international delivery.  Simply visit our tracking page and enter your consignment number and delivery postcode, click to view the map and our regularly updated map will PinPoint the delivery driver's current stop and how close the driver is to the delivery destination. Tracking just got better with APC. Missed a delivery? No problem! 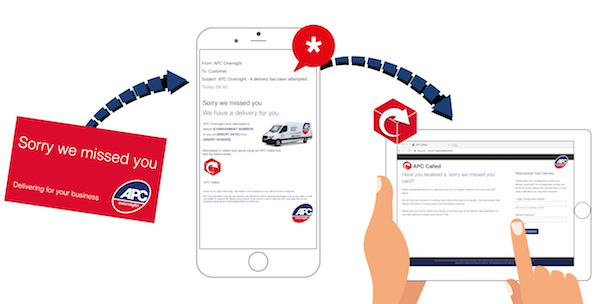 If you have received a ‘Sorry we missed you’ card or an email notification of an attempted delivery, use our APC Called tool to reschedule your delivery or arrange a collection from your local APC depot. Rescheduling delivery just got easier with APC Called. We are delighted to introduce our APC Expect pre alert service, powered by Blackbay's Delivery Connect. 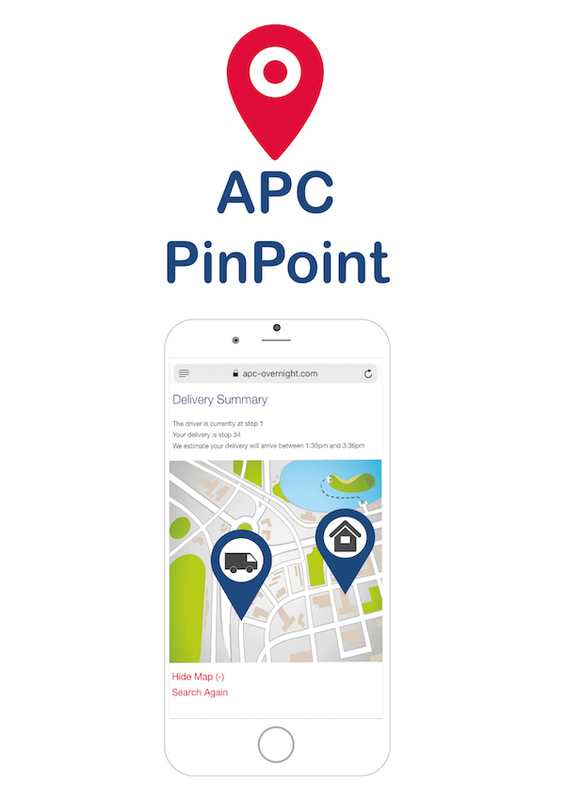 To sign up to this great new service, please contact your local APC depot. To locate your local depot, please click here to use our Depot Finder. Specialising in timed deliveries, giving you flexible options for urgent packages.